Ten electrifying hip-hop Wish Bus performances that have become the soundtrack of the streets — as well as the digital domain. 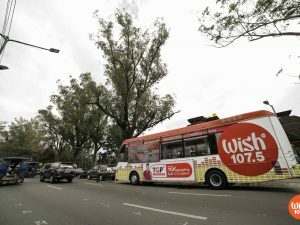 The Wish 107.5 Bus, known to be the only FM-on-wheels roving around the archipelago to bring good music to all, has stood witness to the brilliance of the Filipino musical talent that encompasses a wide range of musical styles and genres. 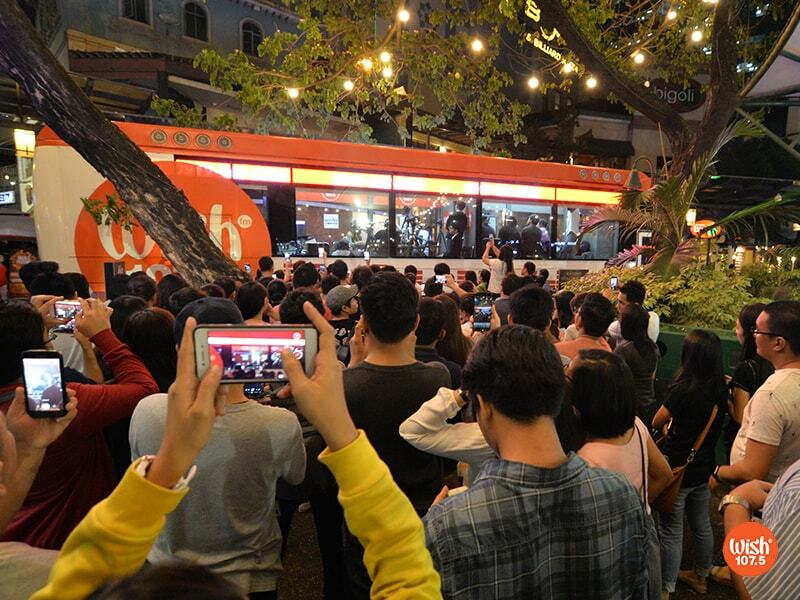 Wishers gather around the Wish Bus parked at the Eastwood Citywalk to watch the Roadshow being broadcasted live from the popular musical vehicle. Apart from the powerful ballad songs, hugot-inducing anthems, and the refreshing revivals of classic tracks, Wishers have consistently shown their love for our local hip-hop acts who stitch infectious rhythms with witty themes. Sure to bring on pure nostalgia, “Nakakamiss” is a five-minute rap piece performed by ace rappers Smugglaz, Curse One, Dello, and Flict-G. 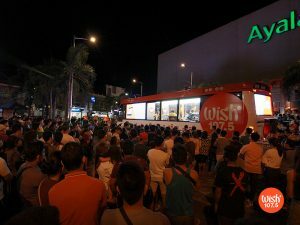 The video — which made the Top 50 trending YouTube videos list just one day after its online premiere — is the first-ever Wish Bus collaborative performance to reach the first spot on YouTube PH’s trends list. Garnering over 54 million views, this hip-hop Wishclusive has already surpassed the Bronze and Silver Wishclusive Elite Circle awards during the third and fourth installment of the Wish 107.5 Music Awards. At 17, teen hip-hop phenomenon Shanti Dope continues to show the world that he’s passionate about his craft with every viral track he creates. His fiery Wishclusive of “Nadarang,” which boldly tackled temptations in love and life, the debut single under his “Materyal” EP, has accumulated a million views less than a month after its online release. The Wish Bus rendition of the hip-hop collective Ex Battalion featuring O.C. Dawgs gathered steam on social media and has topped YouTube PH’s trends list, two days after it was dropped on June 18, 2018. The hit track has caught the eye of millions of Wishers, earning them a Bronze Wishclusive Elite Circle award during the most recent WMA. This track, which captivates listeners and makes them lose themselves in the song’s magnetic pull, features the talents of rap virtuoso Gloc-9 and rapper-songwriter Al James. The team up’s excellent narration of unexplainable exhaustion has already earned a total of 2 million YouTube views as of writing time. In this fearless Wishclusive, star rappers Loonie and Ron Henley expressed their thoughts about the flaws of the profit-driven side of the music industry. The Wishclusive performance’s hard-hitting lines and on-point rap has garnered over 2 million views on YouTube. If you’re a fan of Filipino rap battle leagues, this video is surely something you don’t want to miss — a powerhouse Wishclusive performance from Abra, Loonie, and Ron Henley featuring sound engineer DJ Buddah. Fused with excellent turntablism, the hit track showcases the supremacy of the rap icons with their unabashed gift of writing and performing. Just before the Dalagang Pilipina challenge made rounds on social media, the voices behind the phenomenon first landed on YouTube PH’s trends list after their Wishclusive release of the hip-hop/R&B fusion on February 13. 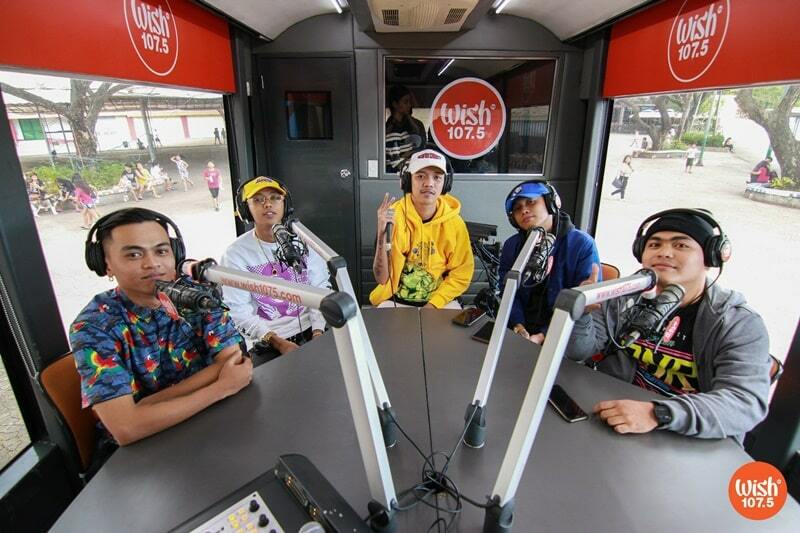 With over 22 million views and counting, Allmo$t’s live performance of “Dalaga” on board the Wish Bus exhibits the hip-hop outfit’s smooth collaboration and LSS-inducing tunes. Boppy and relatable, the Wishclusive version of the reverberating hip-hop track titled “Pauwi Nako” talks about a feeling everyone’s familiar with — counting down the hours and minutes until you can be reunited with someone special. “Pauwi Nako” has dominated streaming platforms and currently holds the record of being the fastest Wishclusive to hit 10 million views on YouTube in no less than 2 weeks. As of writing time, the video has already garnered 30 million views. The fiery track talks about being true to one’s self because people will always gravitate towards the raw and real. 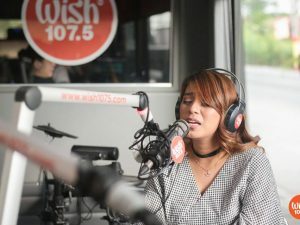 Loaded with LSS-inducing lyrics and a soulful beat, this Wishclusive from Kiyo and Alisson Shore has joined YouTube PH’s local trending list just hours after it made its online debut on the Wish 107.5 YouTube channel. The wish-come-true performance from two of today’s hip-hop indie scene stars speaks of assuring someone special to not hesitate and take the leap of love. Craving for more hip-hop? Subscribe and keep tuning in to Wish 107.5’s official YouTube channel to enjoy a diversified lineup of your favorite artists’ Wishclusive performances.